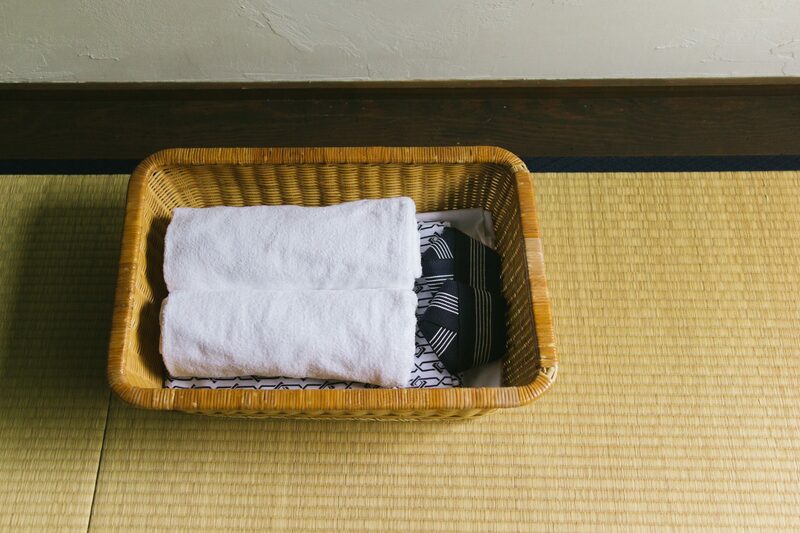 From summer of 2019 our 10 mat-tatami room will have an extra wall to create a little extra privacy. 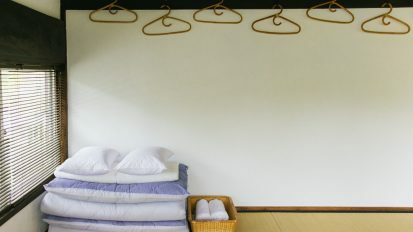 In the past we had some sound travel issues so we have added an extra wall. 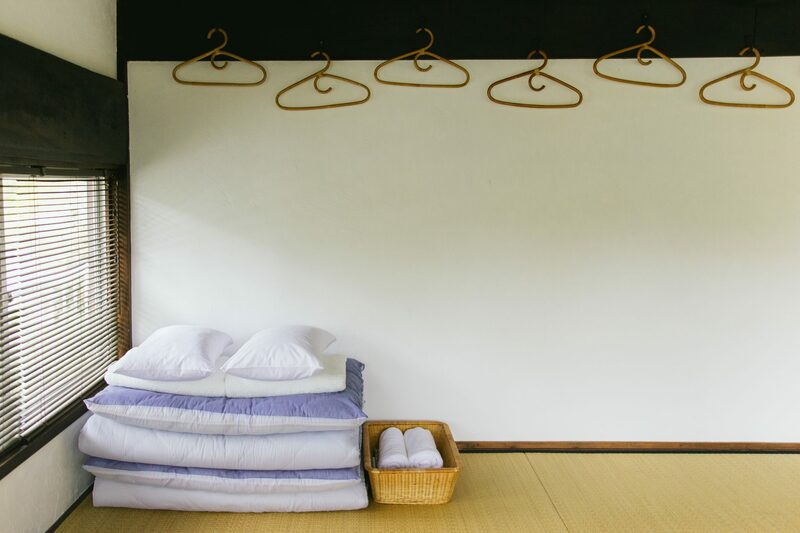 The 10 mat room is now an 8 mat room with a separate space for luggage storage. 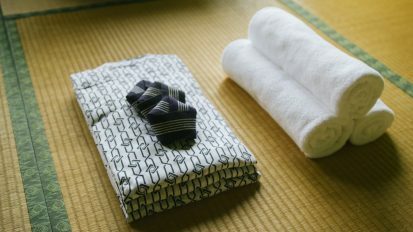 The tatami room has self-controlled air-conditioning/heating, wifi, fan, folding low table with zabuton (cushions for sitting on). 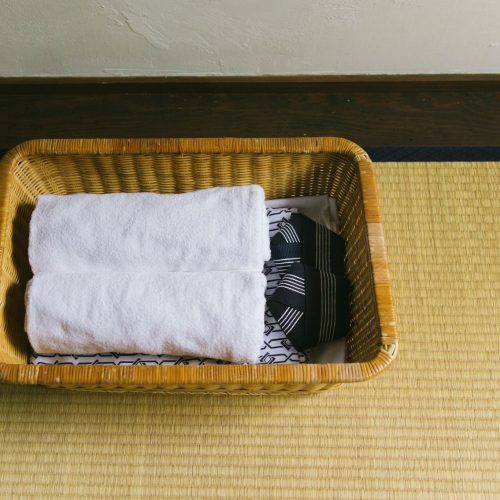 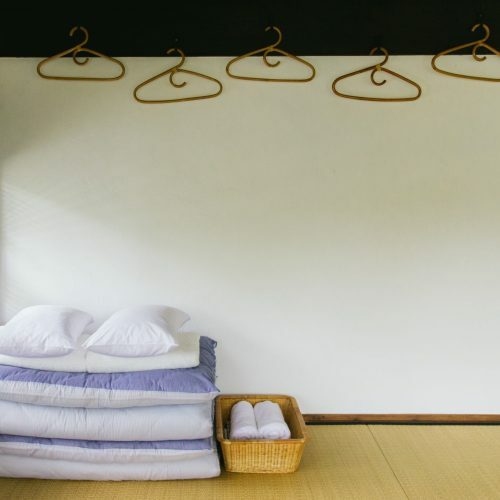 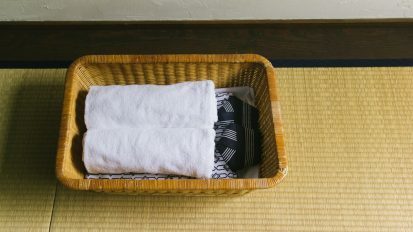 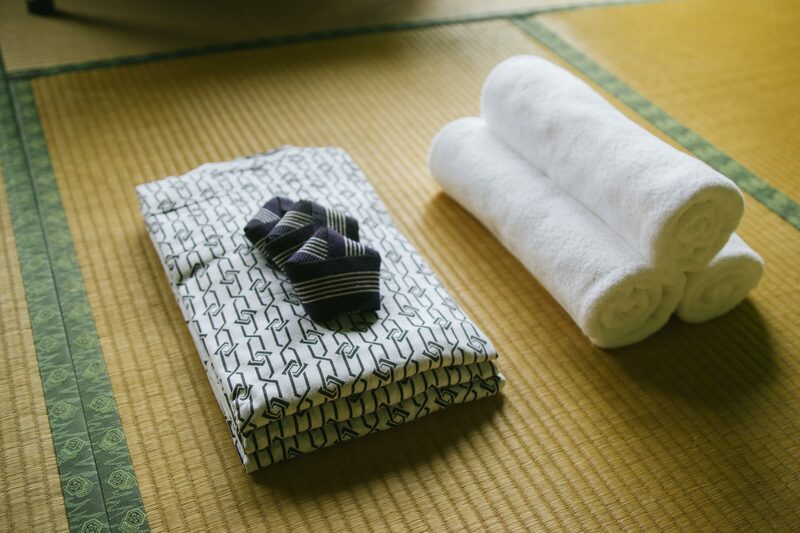 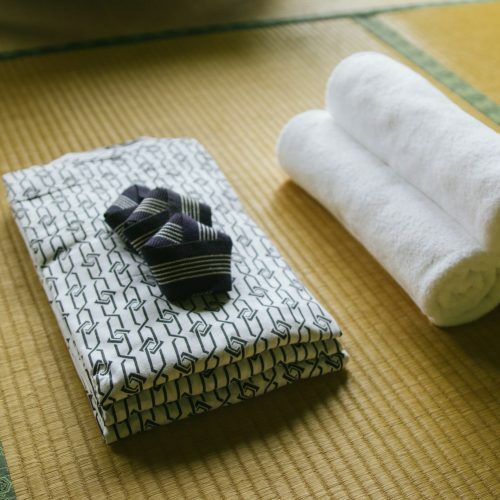 All rooms come stocked with futons, pillows, crisp linen, towels, and yukata (cotton kimono). 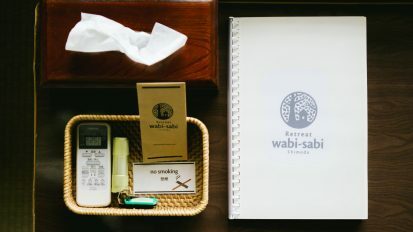 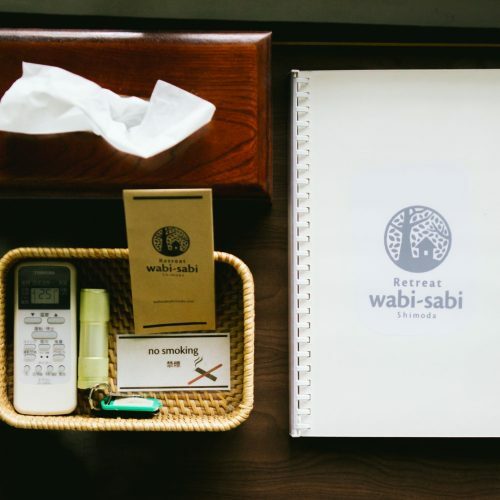 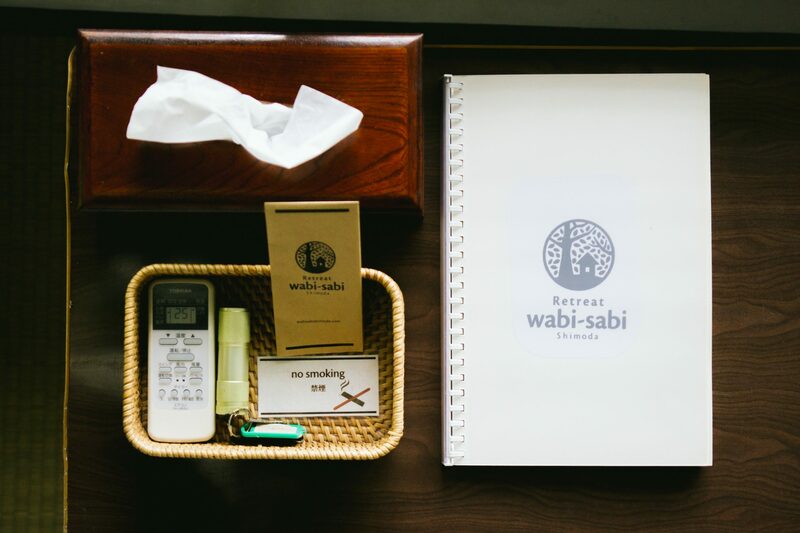 On the table you will find facial tissues, an information booklet, and a custom-made map of the area.